Our objective is to provide our customers with the highest level of service quality and to provide it in a safe, and efficient manner. 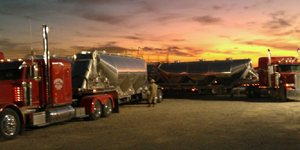 Here at Sand Stone, we strive to be the best in the proppant and sand transportation industry, by continuously adapting to our customer's needs both in the field and in the office. 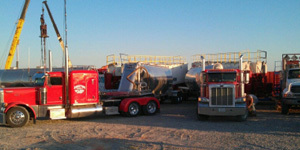 We do this by employing experienced oilfield staff with the highest standards of integrity, morals and core values. We are continually working to upgrade our services, by realizing the oil and gas industry is an ever evolving and changing environment. Our company recognizes the fact that the hard work, enthusiasm, loyalty, and progressive innovations by our employees are the cornerstone to our company. Our employees are highly motivated; we realize they are the backbone and foundation of our company. These professionals have the complete dedication to provide our customers with the highest level of service quality. Our staff is a highly motivated, tight knit team of dedicated professionals that are willing to accomplish any task set before them by our customers. Our logistic experts, and in the field sand coordinators work together to provide safe and efficient routes to our many product pick-up and delivery destinations. These groups of people are the reason for our success, and the continued success of this company in the ever changing and evolving oil and gas industry. 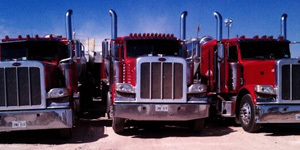 At Sand Stone Services, our management team has over 100 years of combined oilfield experiences in Hydraulic Fracturing, Cementing, Fluid Services, Logistics, Sales, and Customer Service. Our team is committed to 24 hours a day, 7 days a week year round customer dedication.